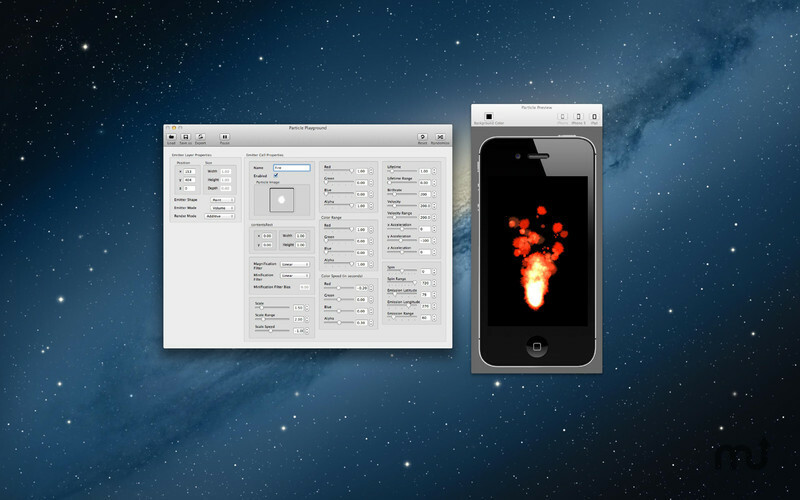 Customize iOS particle emitter classes easily. Is there a better alternative to Particle Playground? Is Particle Playground really the best app in Developer Tools category? Will Particle Playground work good on macOS 10.13.4? 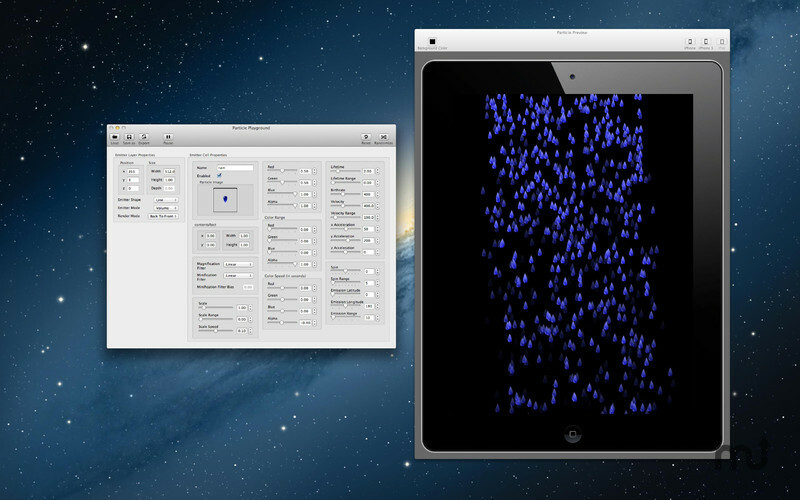 Particle Playground is an easy way for developers to customize native iOS particle emitter classes (CAEmitterCell and CAEmitterLayer). You just drag your particle image on the image well, modify some slider values and watch as the realtime preview shows you what you will see on your device when you hit the "Export"-Button. You get a fully functional UIView subclass that takes care of all of your settings and displays the particle emitter just like you set it up in Particle Playground. Particle Playground needs a review. Be the first to review this app and get the discussion started! Particle Playground needs a rating. Be the first to rate this app and get the discussion started! Manipulate the different properties until you have the desired effect. Hit export (this will give you 4 files) Now you have 4 files: Your code (.h & .m file), the image (.png) and a savefile (.plist). The savefile is just so you can later open the emitter again. Make sure to add the QuartzCore framework to your project. Now just fire up the simulator and watch your beautiful emitter! Don't forget that your Mac is probably a bit beefier than your iPhone/iPad! A particle emitter with 1000 particles per second may look really nice in Particle Playground but it can really take a performance hit on the device. You should really test that.